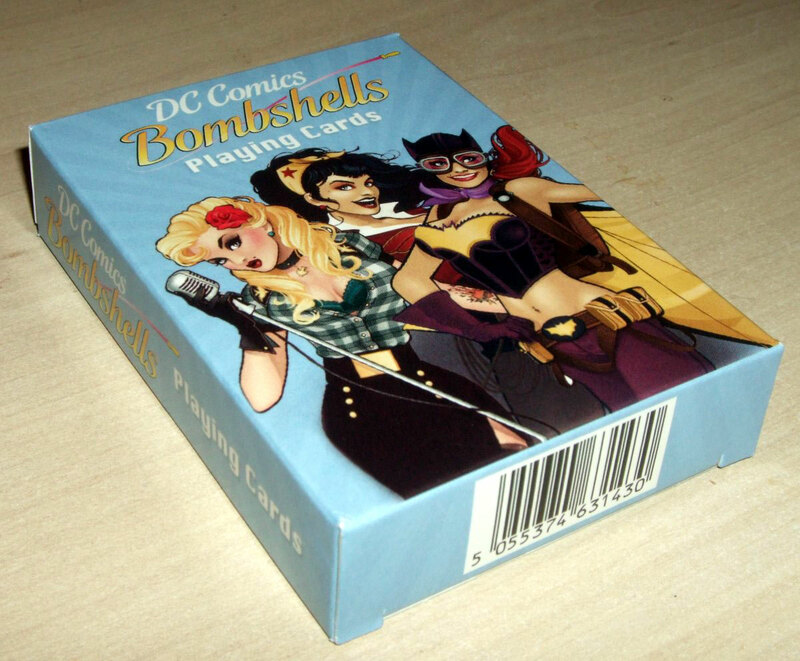 Above: stylish and high quality cards featuring the glamorous female stars of DC Comics published by 'Forbidden Planet', 2015, ™ & © DC Comics. Images courtesy Matt Probert. 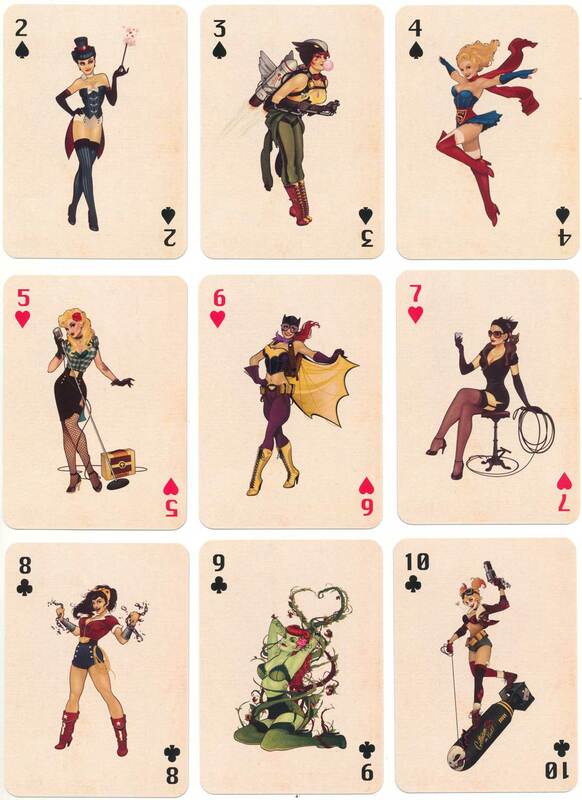 Quite a clever concept to produce glamour or 'pin-up' cards from comic book characters! 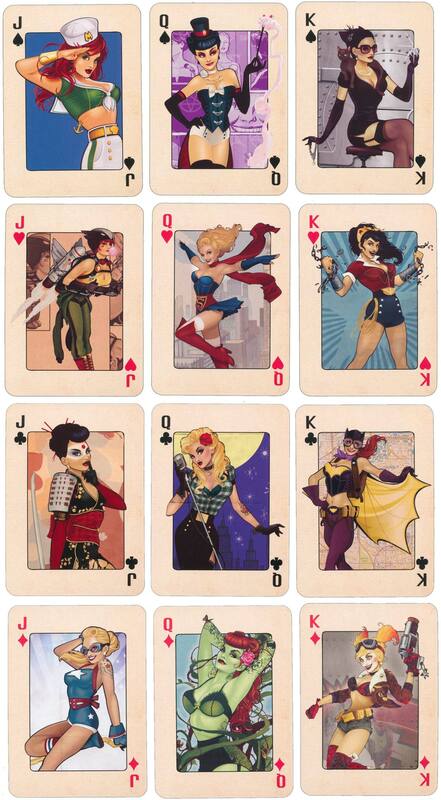 Above: all the pips feature the same image in each suit, both jokers have the same image, whereas the aces and courts are all different.